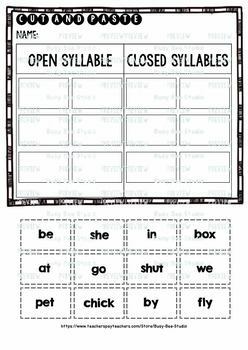 Are you looking for fun open and closed syllable activities? 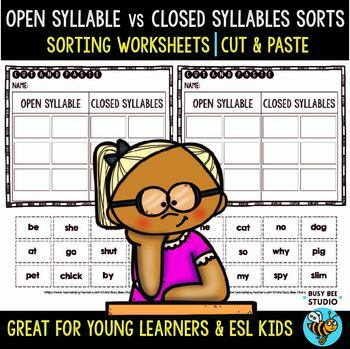 Try these cut and paste worksheets. They can be used in stations or for homework.There are 2 worksheets in this set. Be the first to know about my product launches, freebies and discounts. Look for the green star near the top of the page and click it to become a follower. Done? Great! Now you will receive email updates about this store.